I have been struggling to create a computer-controlled force in which the dismounted infantry would coordinate their movement with their IFVs. 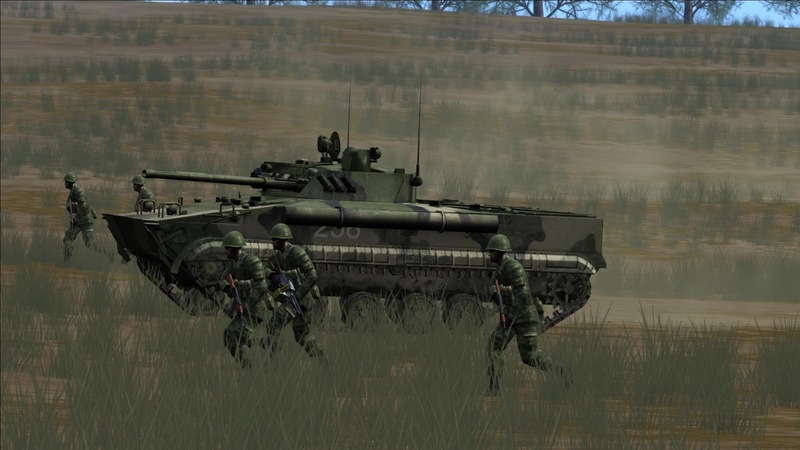 I know that Steel Beasts is an armor simulation, but infantry is such a central part of combat that I wish eSims would pay a tiny bit more attention to it. Like in the case of dismounts from IFVs. You have a computer-controlled IFV platoon moving forward and as soon as it dismounts its infantry, the dismounts just stay there idle. The new dismounts are just a bunch of new units, with no tasking derived from its supporting IFVs. The lack of coordination between infantry and IFVs is even more apparent when you try to program them to move side by side. The IFVs will soon be very ahead of their dismounts. In this video, something I edited to circumvent this lack of coordinated movement. It's cumbersome, I know. But at least it works decently. I can't agree with you more. I served in a mechanised battalion. The vehicle (Warrior in this case) was an absolute fundamental part of our unit. I know it goes without saying but I also share your frustration with Steel Beasts. I almost wish they didn't have any Infantry.